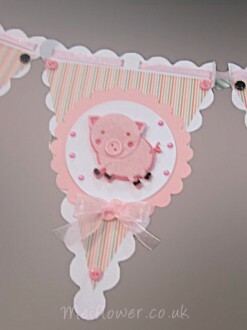 Tracey made this beautiful bunting for the craft show using the new pig and cow felt shapes. 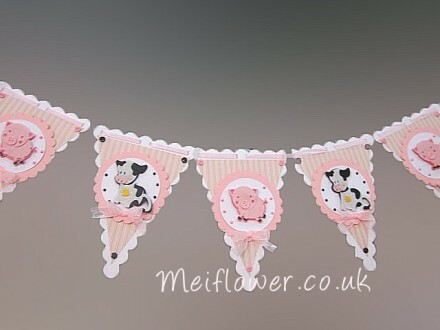 I love this bunting, it is really cute. Can visualise this in a nursery. Tracey has attached the bunting together with pink organza ribbon. 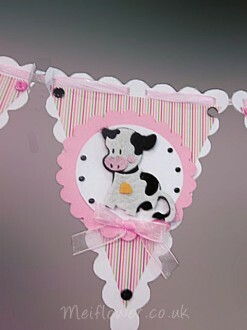 Tracey has embellished the bunting with black and pink gems. The bunting from Every crafts a pound. The cow felt shapes are new on the Meiflower website. The animal shapes can also used be used to decorate cards, adults and children cards. Got some exciting news to share with you today. 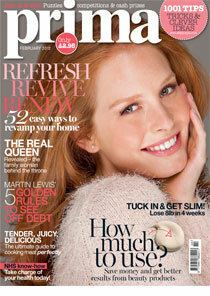 Sue McNeill, Prima’s deputy editor has featured MeiFlower on page 129 in the February edition of Prima magazine. Here’s what Sue had to say. ” On a recent visit to a craft fair in Birmingham, I came across a store selling gorgeous ribbons. I always add a pretty ribbon to cards, gifts and flowers – it’s just a way of adding a luxurious touch without spending too much money. Just goes to show you never know who might end up buying from you ! 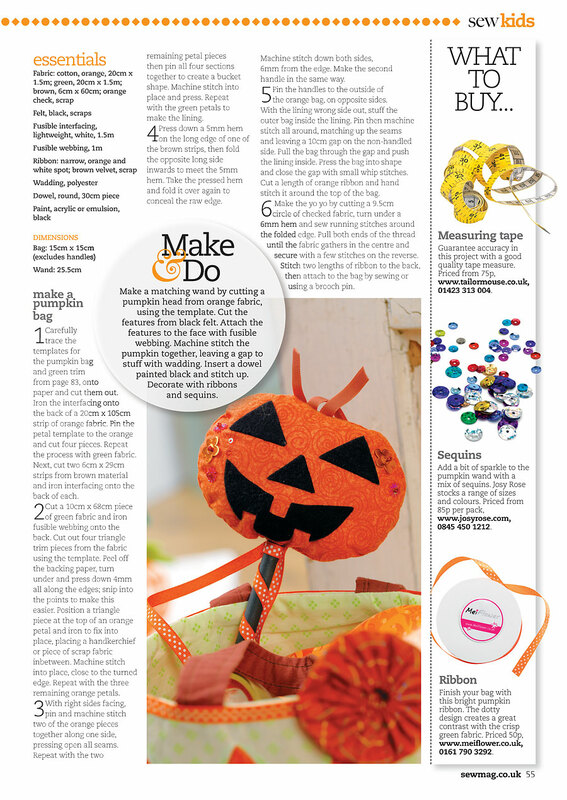 Thanks Sue for featuring us in the magazine and i’m glad you liked the ribbons. Sorry about the delay in posting the winner there were a few different opinions on who should win but we’ve finally got there ! 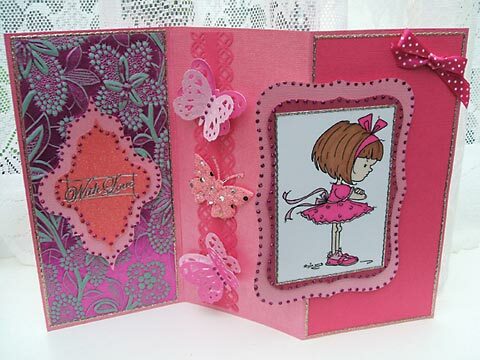 The Winner of the cerise colour challenge is Sandra Baldwin, who will receive £20 worth 0f cerise MeiFlower products. The two runner up winners of the cerise challenge are Debbie Dunn and Shirley Gaskin. Both of you will receive a £10 voucher to spend at Meiflower.co.uk . . . Happy Shopping. A Big Thank You from me for participating in my cerise colour challenge.